The project is educationally commendable. Climate change and climate protection are to be treated at Berlin's schools in the future, in the classroom, in order to strengthen the awareness and understanding of children and young people. So it is in the energy transition law of the state of Berlin, which was adopted in 2016. Solar technology, wind power, renewable energy – these are the topics, their importance in education is growing, especially since the current student demos to climate protection. However, while the legal requirement is considered in many courses and classes are already exemplary, failed the Senate on his own work: According to the energy transition law, Berlin aims at the production of renewable energy on public buildings. On the roofs of the previously planned new school buildings in the country, not a single solar plant is provided but so far, apparently. So it is at least in a response from the Secretary of state for the administration of education Mark Rackles on a request of the Greens in the house of representatives. Literally Rackles writes: "None of the school buildings of the first Tranche of school building offensive, gets a electric (photovoltaic) or solar thermal systems on roofs and/or facades." In the future schools will be visited, therefore, an absurd contradiction: While the students are working intensively with the Berlin climate-friendly perspectives, happens on the school roofs over their heads. Up to 2028 to build the red-red-green coalition in the context of the school building offensive of more than 50 new schools in Berlin. Be controlled, these buildings of four actors: the districts, the Senate Department for urban development and Housing, and the housing Association Howoge, as well as the Berlin real estate management GmbH. To the first of the Secretary of state Rackles-mentioned Tranche of the ambitious project of about ten buildings, they should be up to 2021/22 done. exit strategy from Coal, climate change, the sector coupling: The Briefing for the energy and climate sector. For decision-makers & experts from industry, politics, associations, academia and NGOs. in order To model, to the benefit of the district and Senate administrations of the "roof surfaces of public buildings ... to the Installation of plants for the production of electricity or heat from solar radiation ... unless there are public law provisions to the contrary." Specifically, Paragraph 16 provides for a "mandatory Use" and this is true in the sense of the law, of course, for new buildings. call of the Senate administration for urban development and Housing. Why are there no solar technology on the roofs? A spokeswoman explains, to supervise the construction professional, but is ultimately not responsible for what'll be built there. Principal of the Senate school administration. So a second call in this Senate authority. Why are there no solar technology on the roofs? But there is thought to be equal to if not competent to do so. The Senate Department for urban development and Housing, it is said, was dealing with the issue of close. This should take into account the "current Standards for the construction of new schools". The Standards are bulky formulated, you ask, "that to take account of fundamental Suitability of the roof to the implementation of renewable energies in the planning of the roof construction, the appropriate preparations for a possible implementation." The Deputy Andreas Otto (Green party) wants to dig deeper in the meaning of his demand, "and pressure", he assured. The focus, he is also the Senator of his own party: The environmental-, transport -, and climate-Senator Regine Günther (independent/Green), as well as economic Senator of Ramona Pop. Regine Günther has to pay attention ex officio to the fact that Berlin's energy transition law is actually implemented. And Ramona Pop is responsible for the of your home excited Masterplan Solarcity. 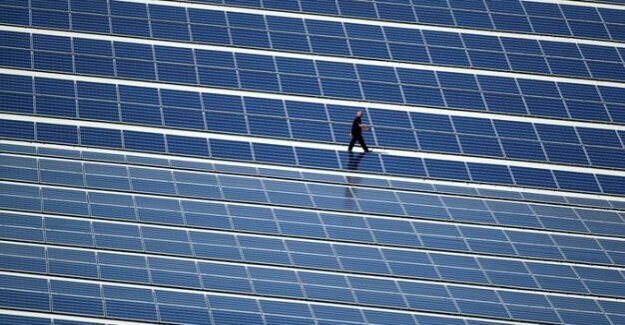 Under the Motto "Berlin on the way to the solar city" should experts develop until the summer of 2019, a decision capable of the master plan, "which specifies the short-, medium - and long-term goals for the Expansion of solar energy supply in Berlin". The energy transition can only succeed "if the players work together", - said in conclusion. the school building offensive succeed but apparently only insufficiently. National parent spokesperson Norman Heise, however, remains relaxed. He has long since made his own, differentiated opinion about the scramble for the solar power plants on school roofs. That climate is treated for protection reinforced in the classroom, Heise prima. But on the roofs of the need to find compromises, he says. Level roof multi-functional are spaces "" can be used, therefore ideal for green roofs, school gardens, or sports and break areas, if the space is insufficient on the ground. Norman Heise: "we must weigh in each individual case." master plan solar capital of Berlin's new school Violated the buildings against the energy transition law?